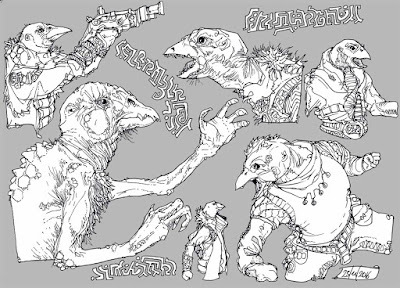 Some nautulus-inspired creatures. 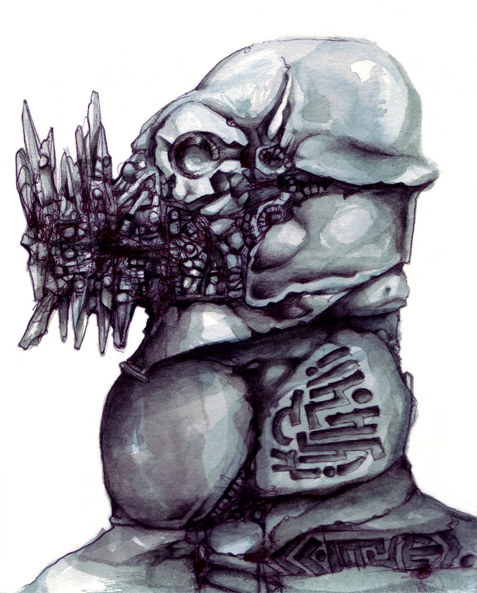 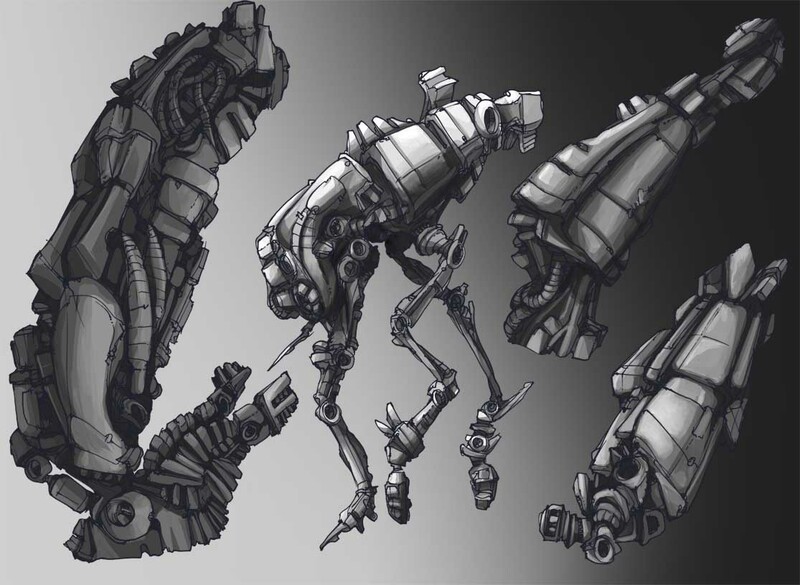 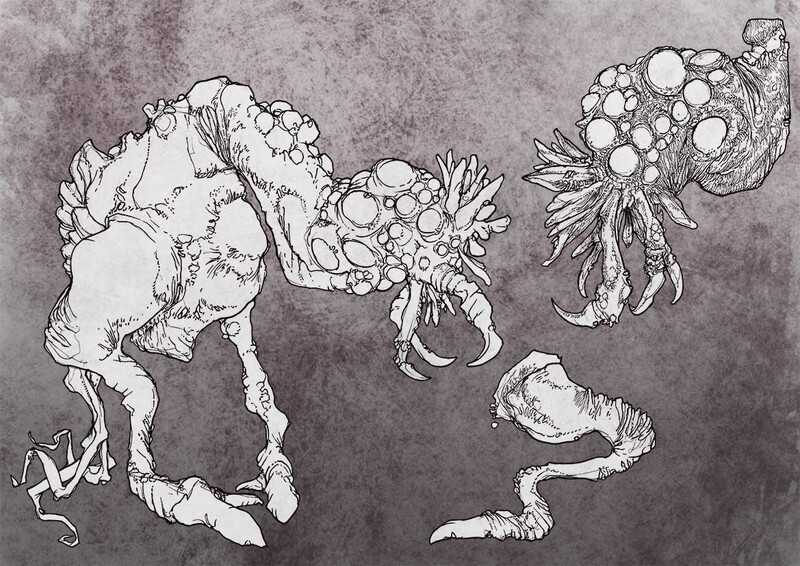 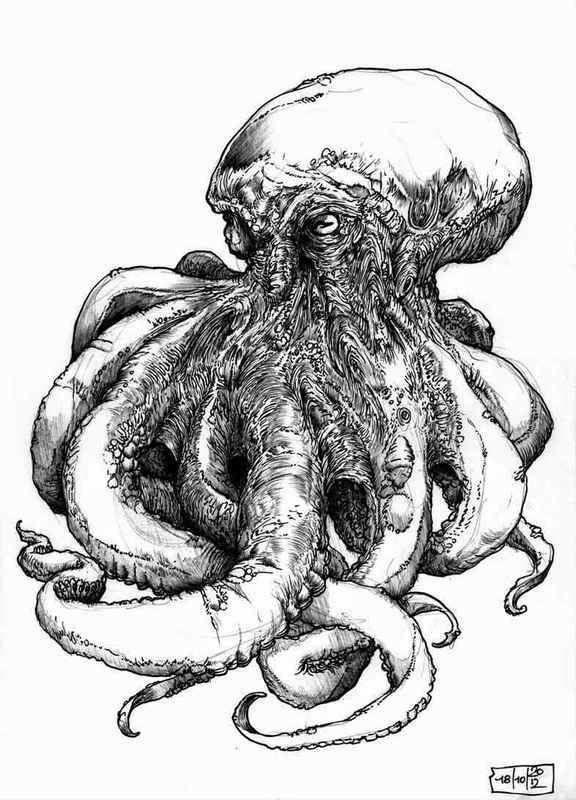 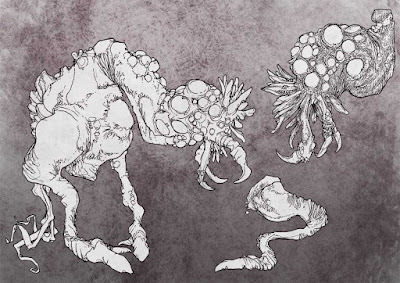 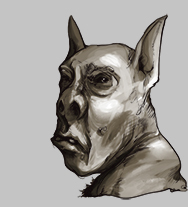 They develop from mechanical to more organic beings. 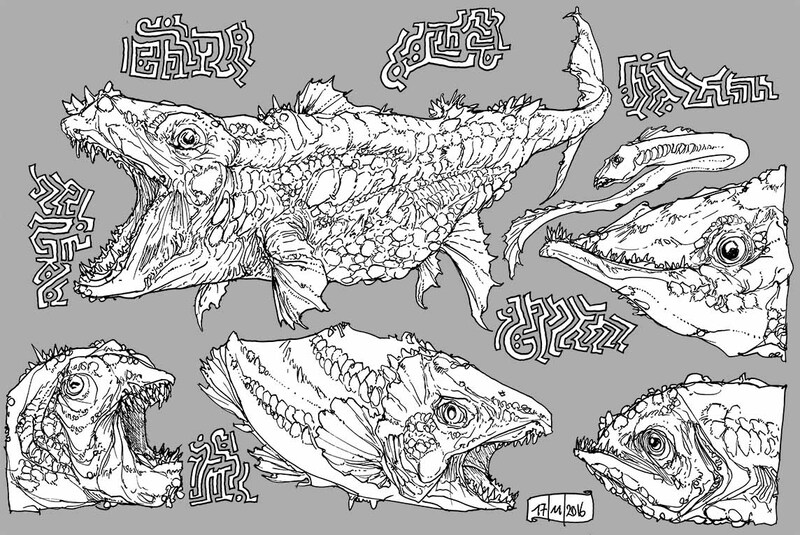 Some aquatic creature drawings I did yesterday. 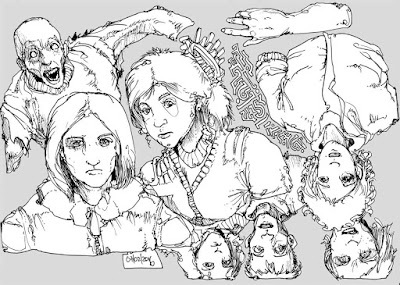 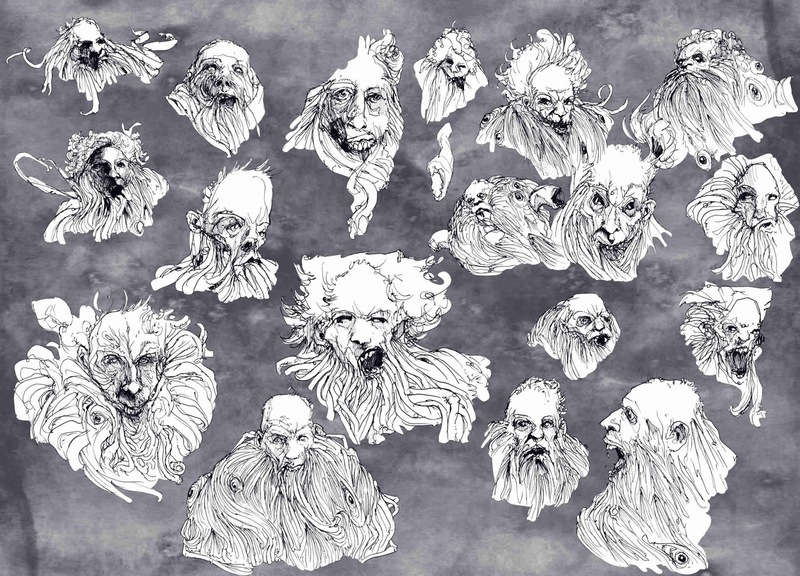 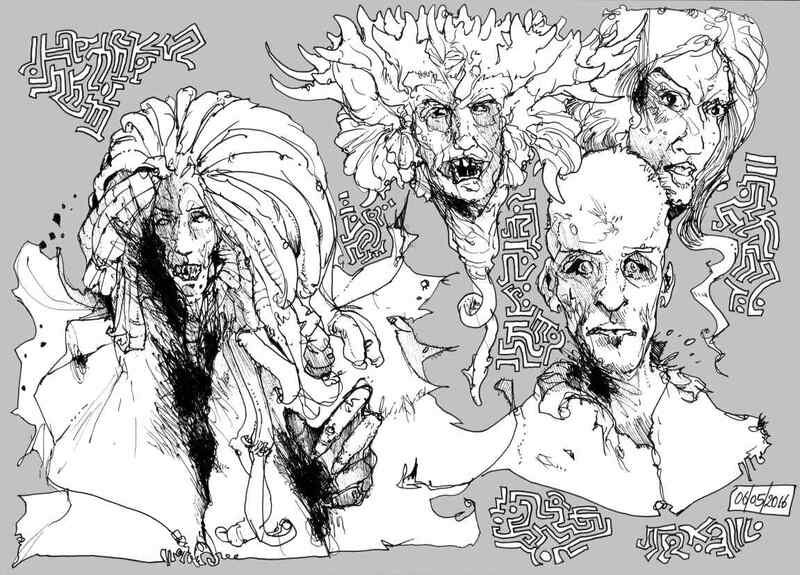 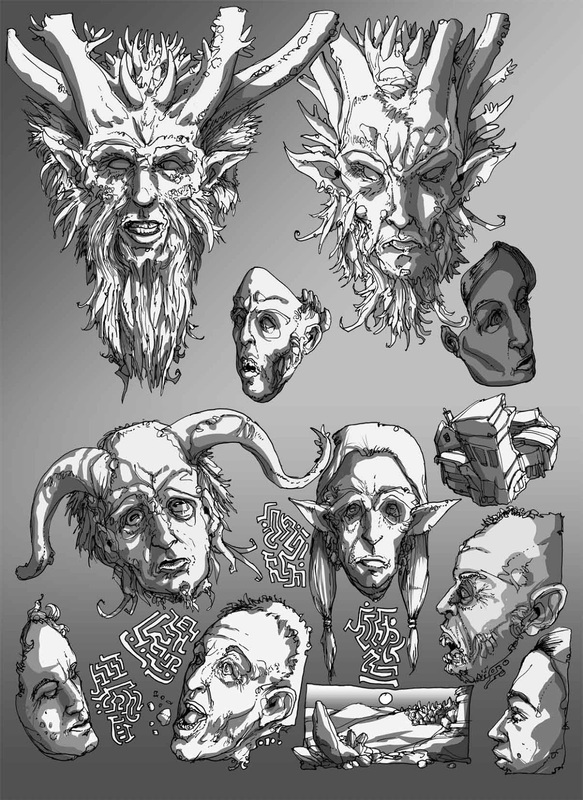 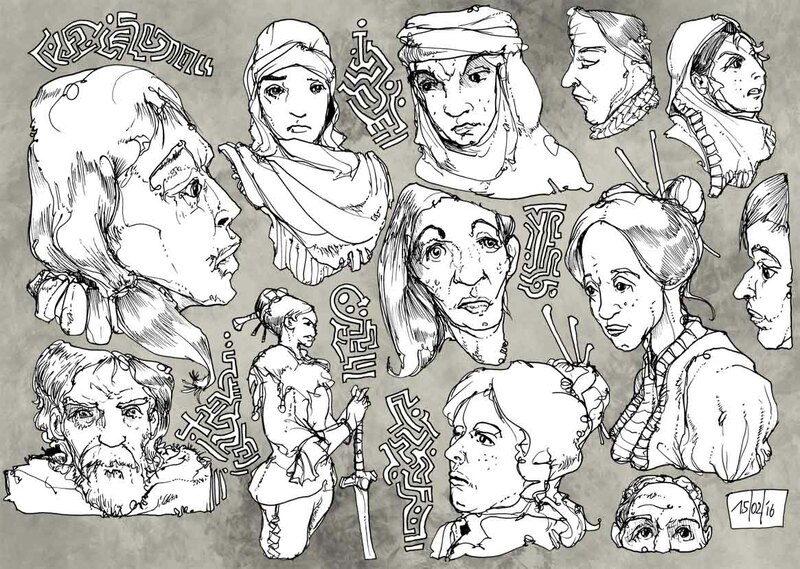 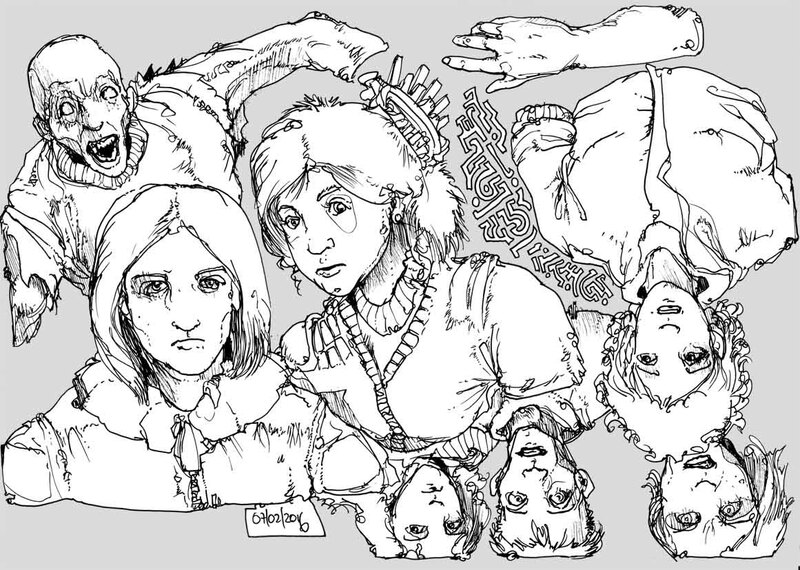 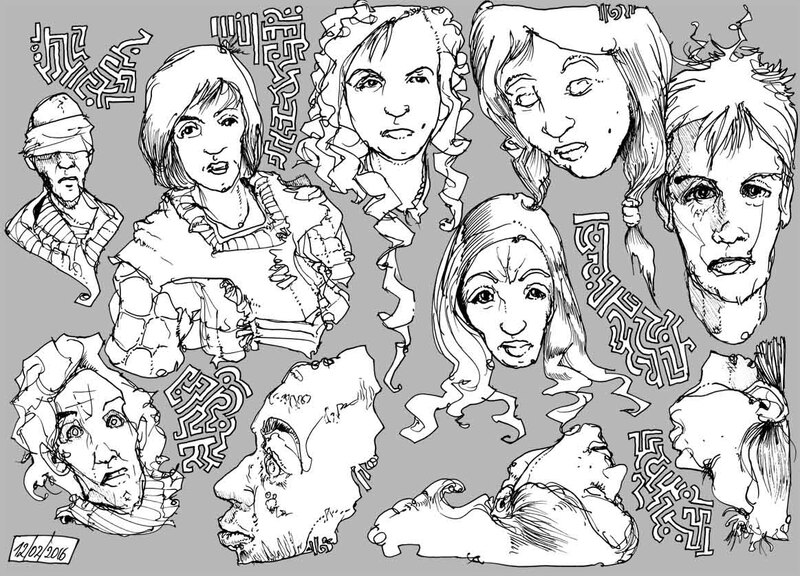 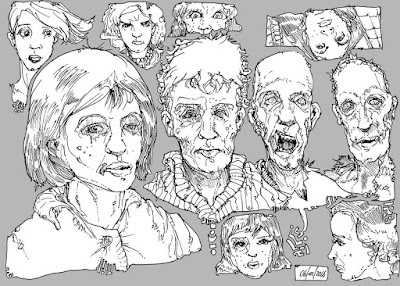 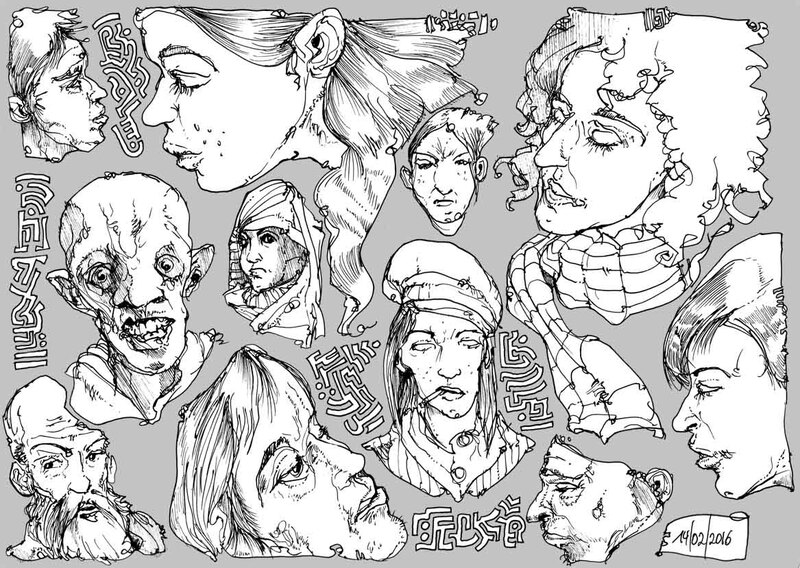 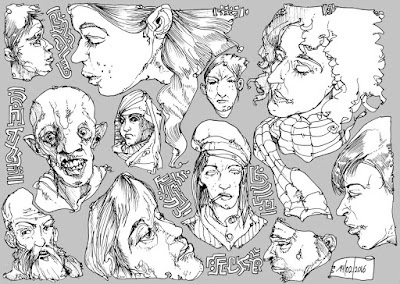 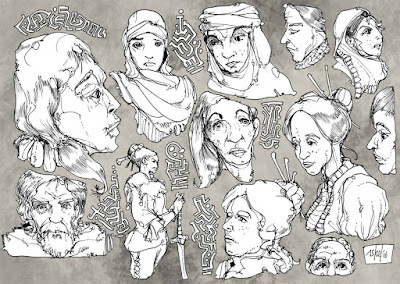 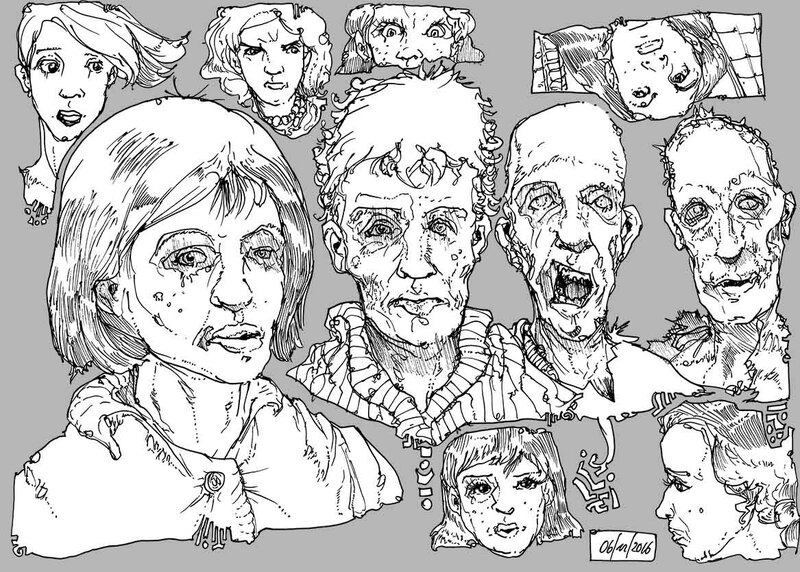 Some some head and face sketches I drew on my way home Saturday night. 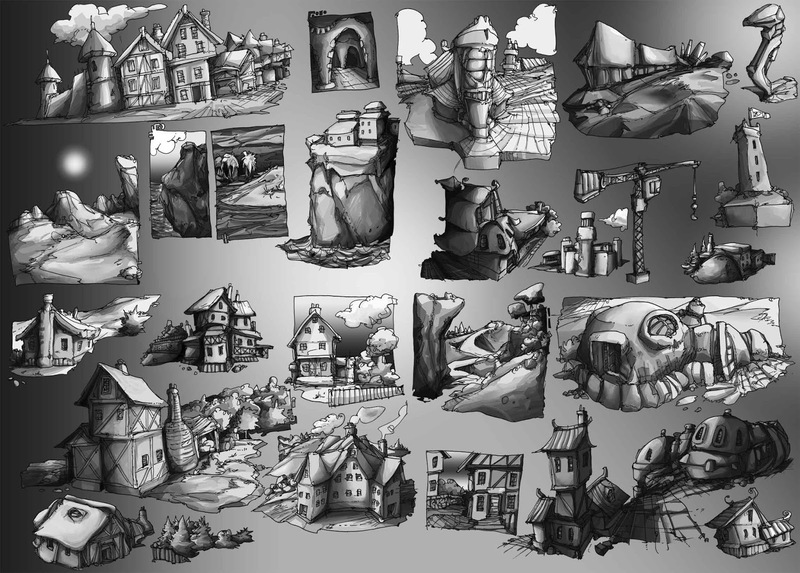 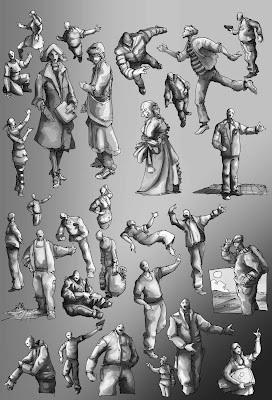 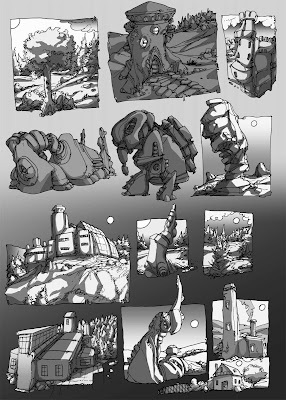 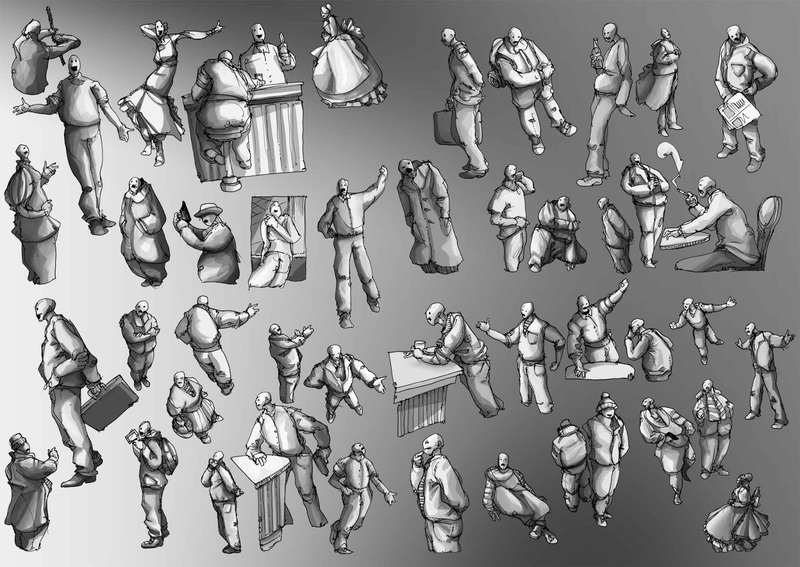 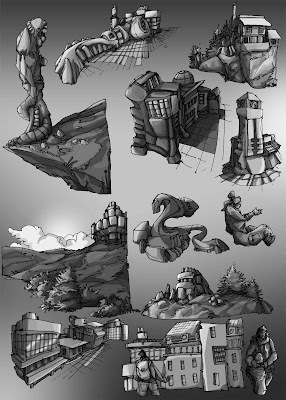 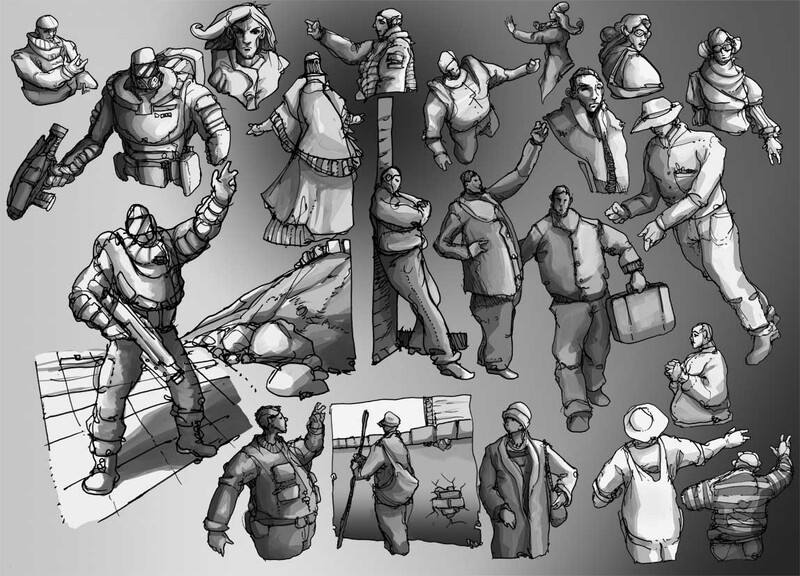 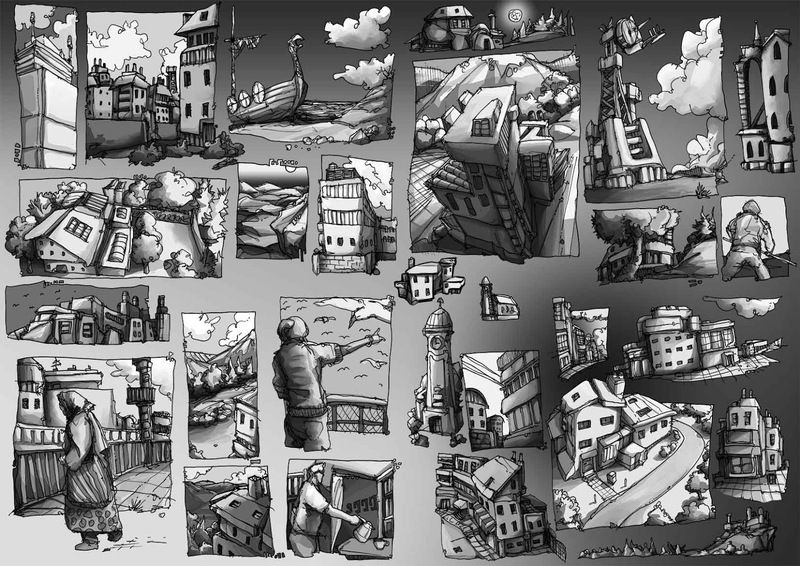 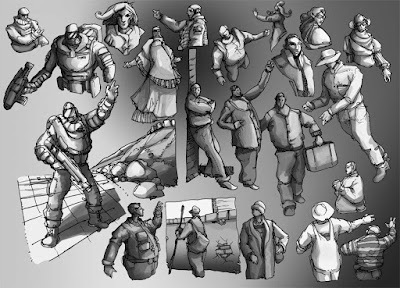 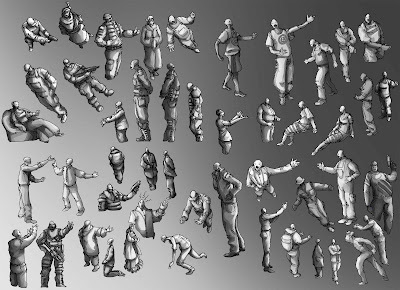 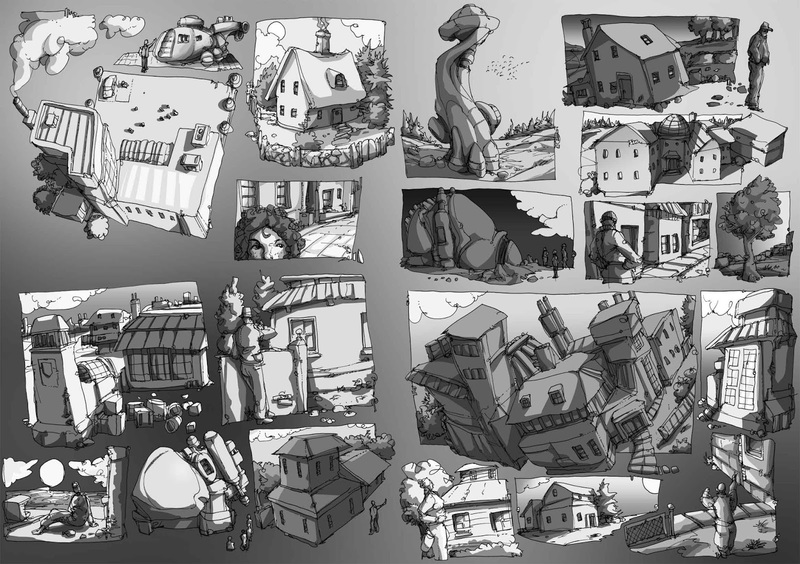 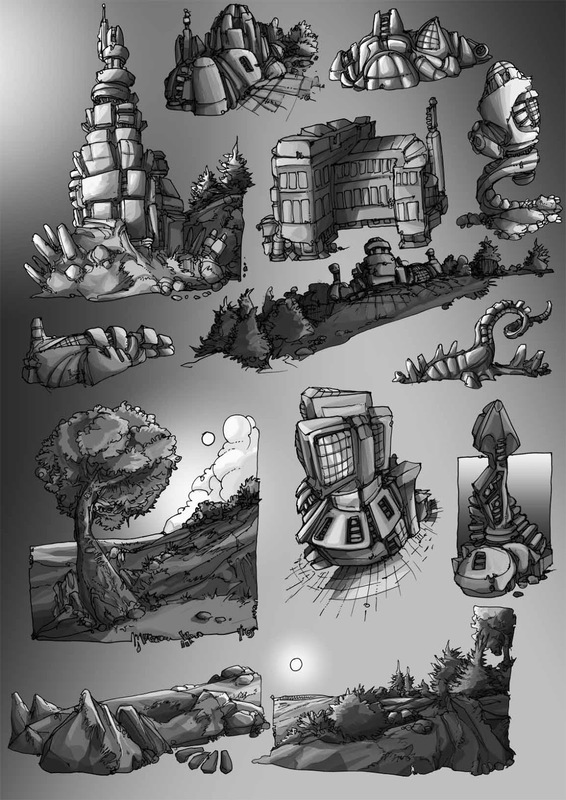 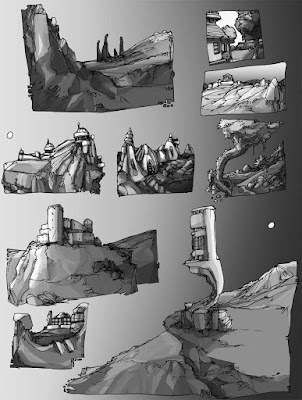 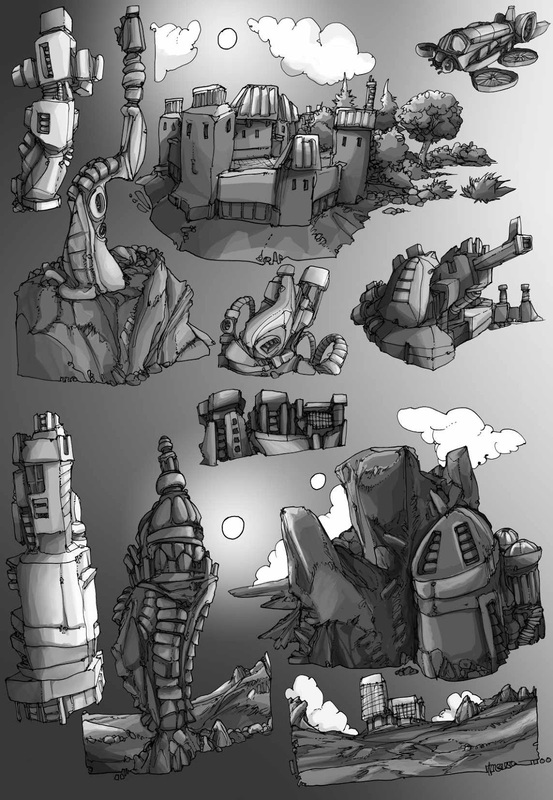 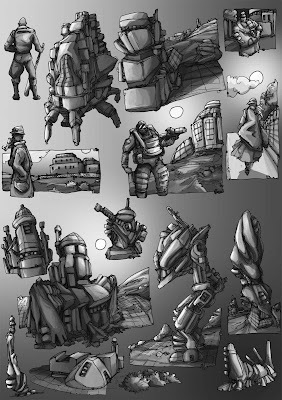 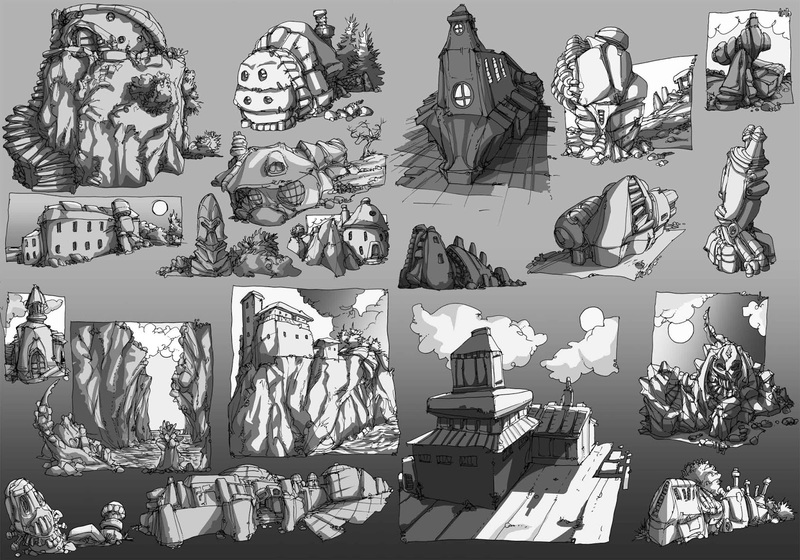 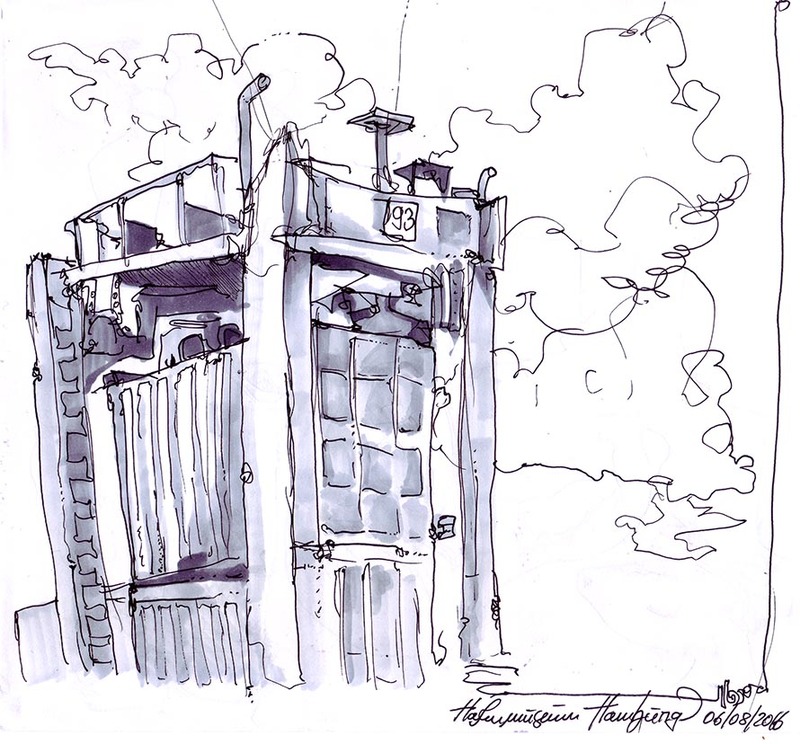 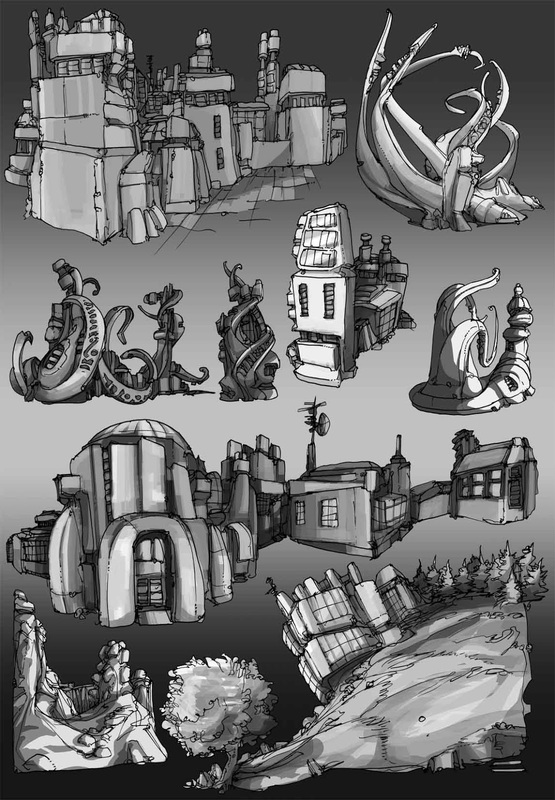 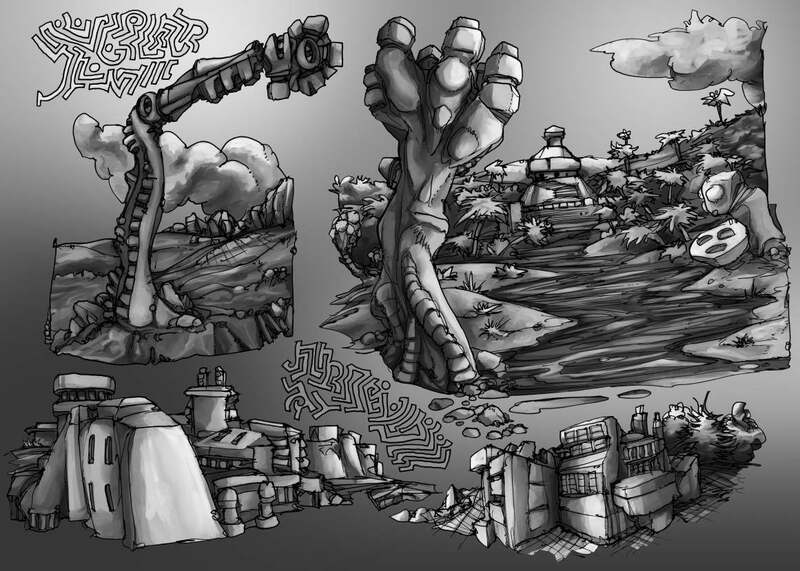 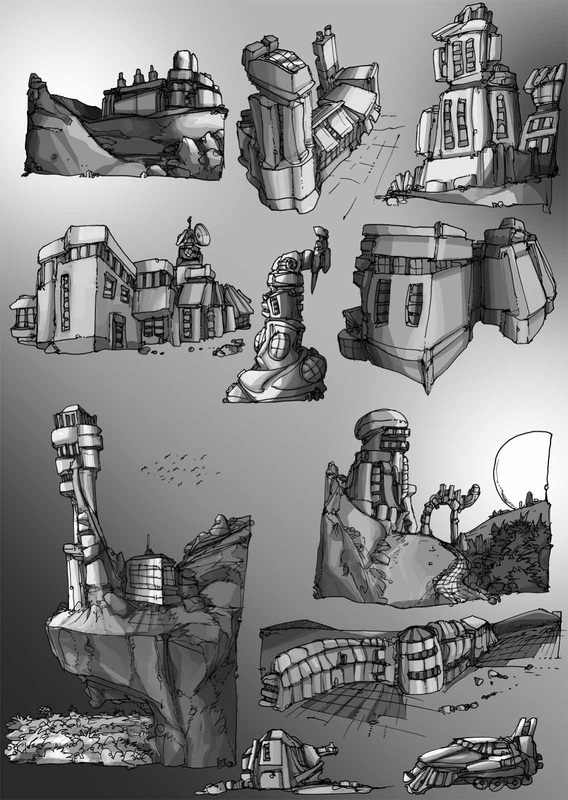 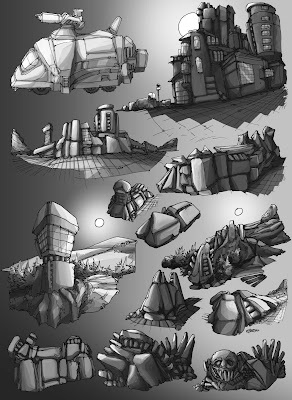 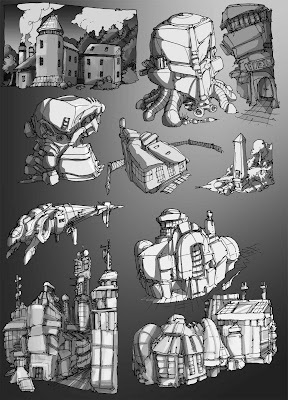 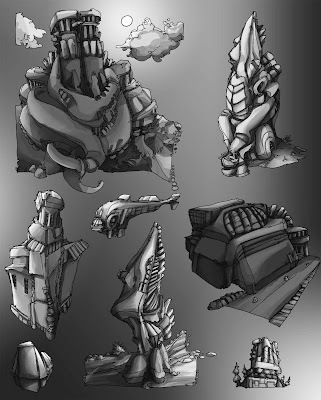 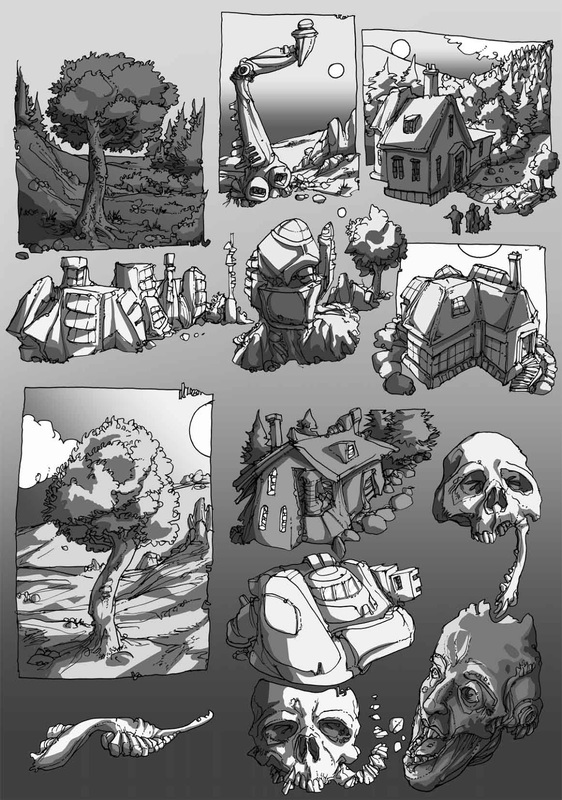 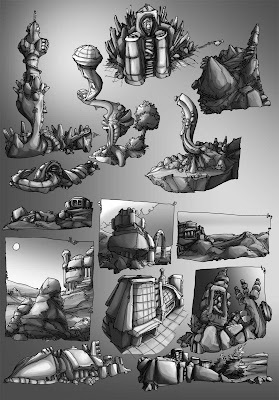 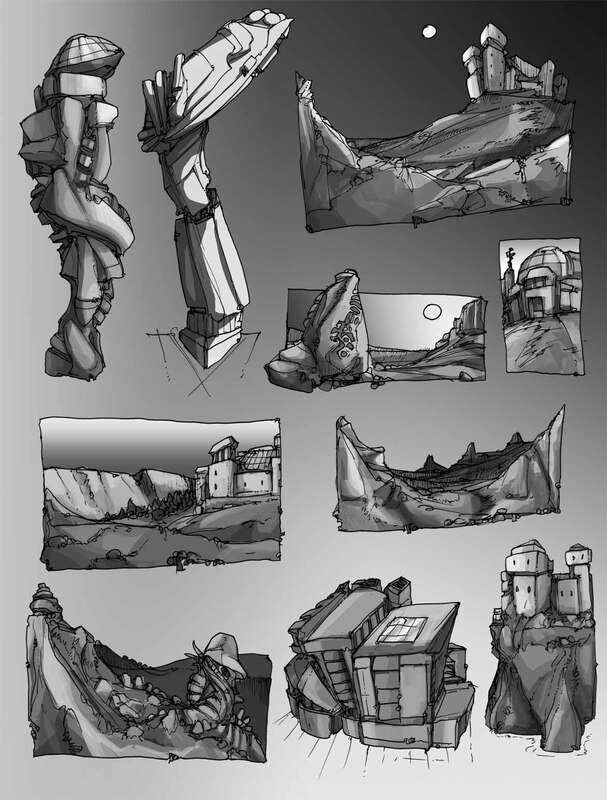 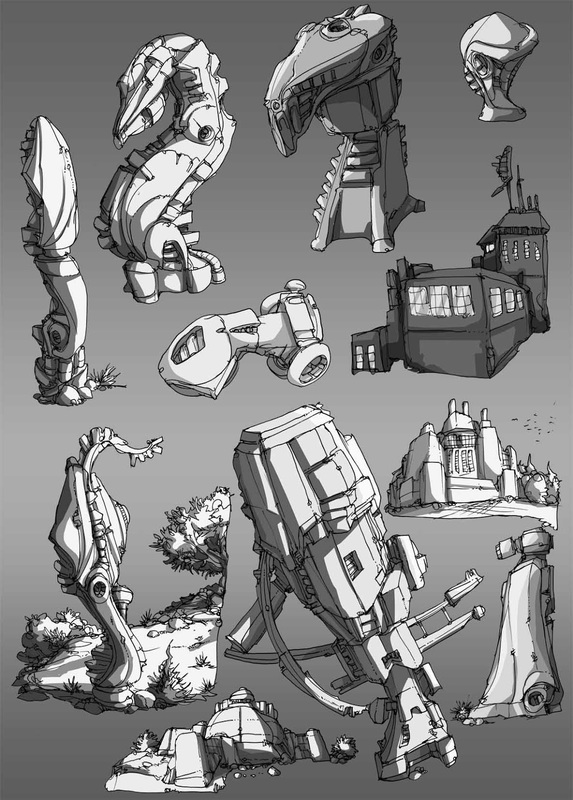 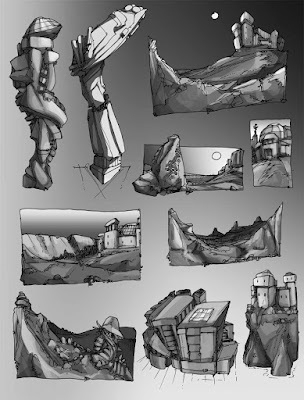 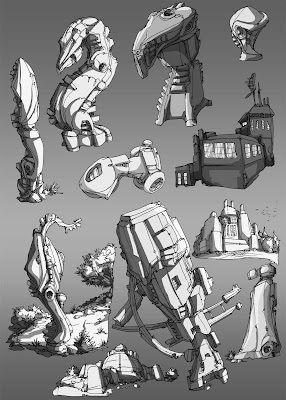 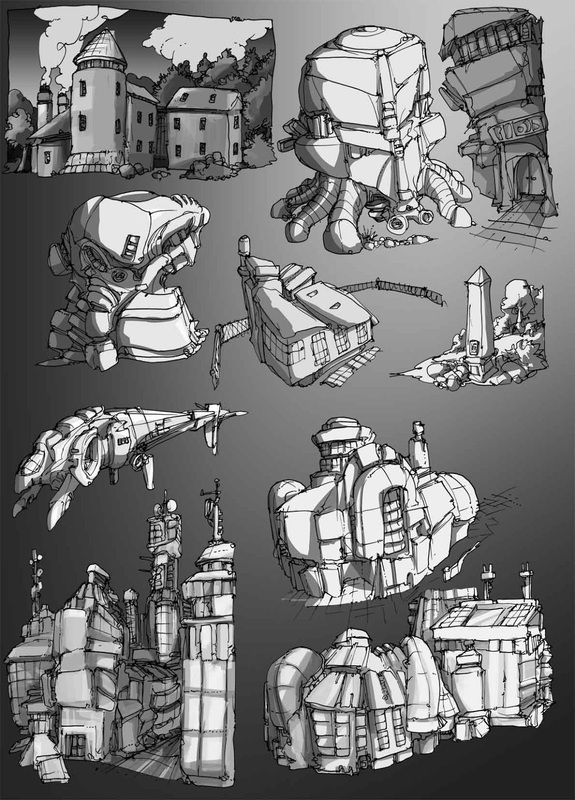 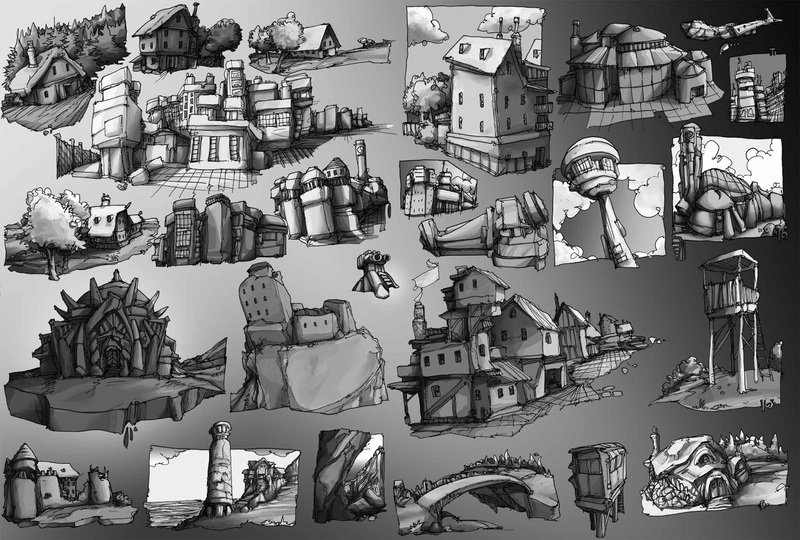 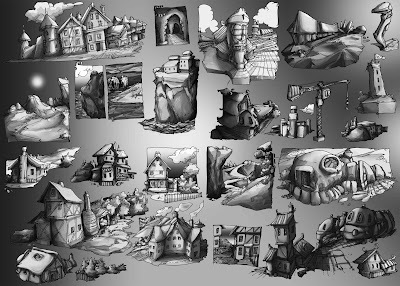 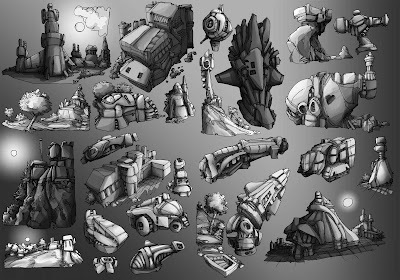 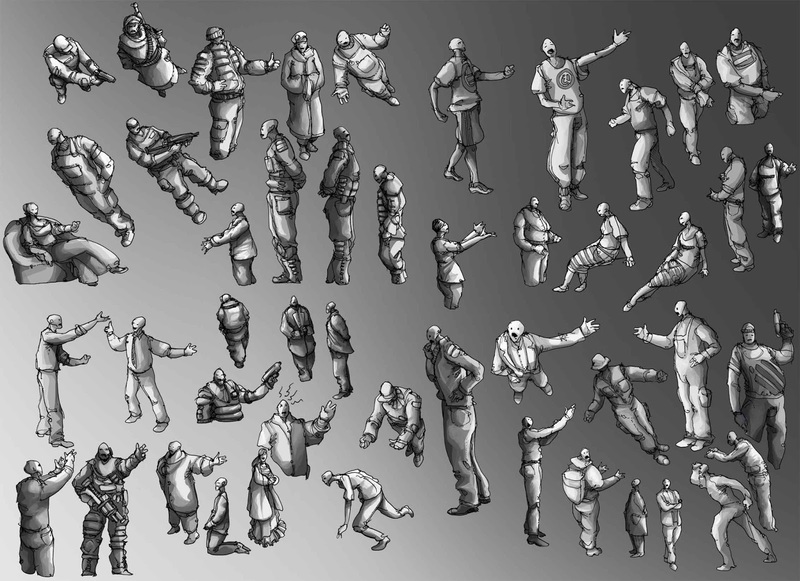 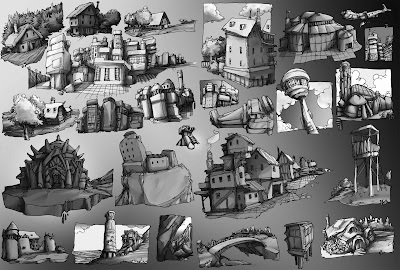 Again, a larger collection of sketches, quickly and simply drawn and shaded, showing strange constructions and some landscape cutouts. 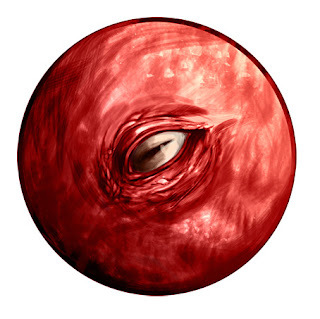 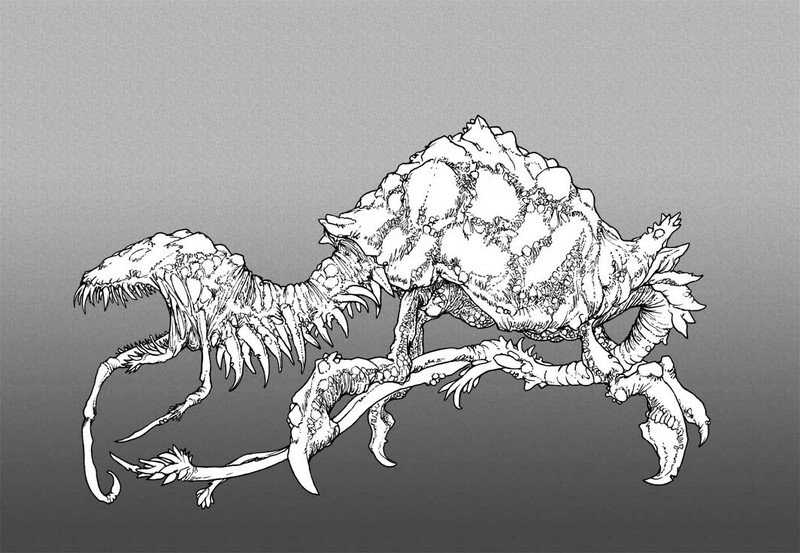 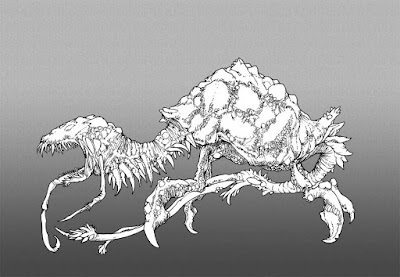 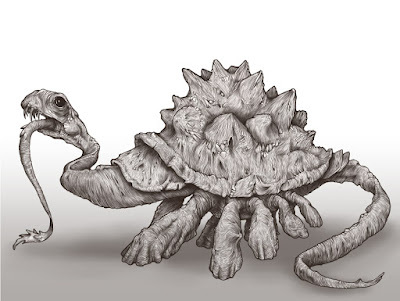 Showing a two-legged alien creature, additional side view of head and leg. 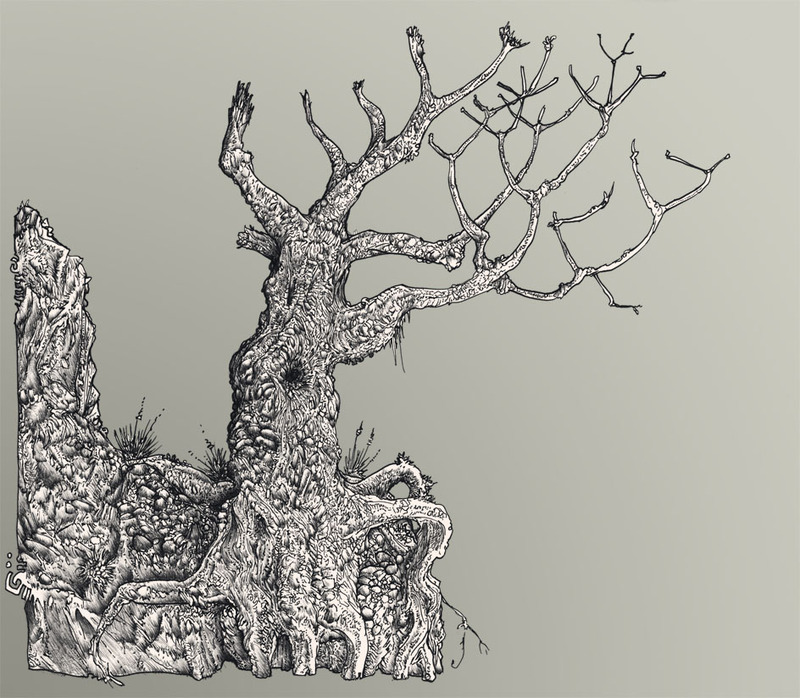 Dead tree over cliff, finished yesterday. 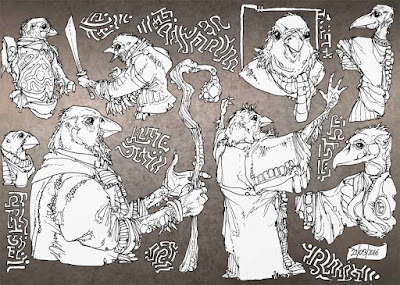 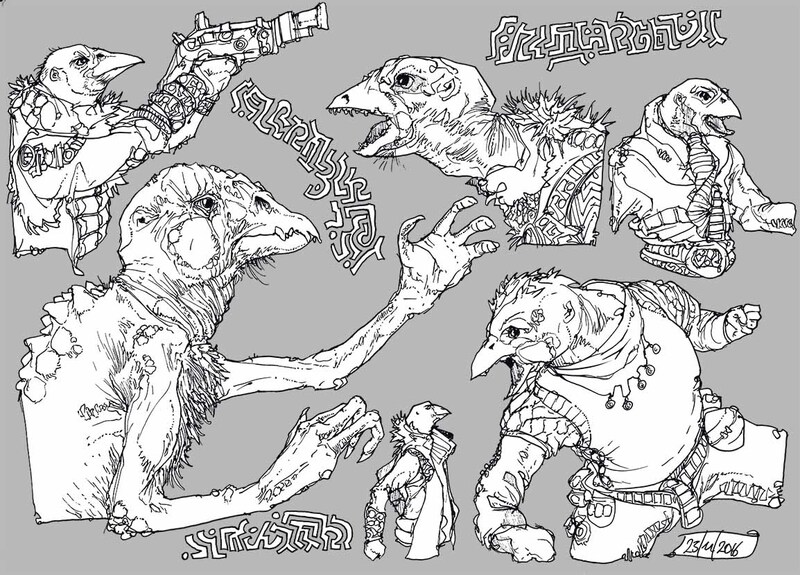 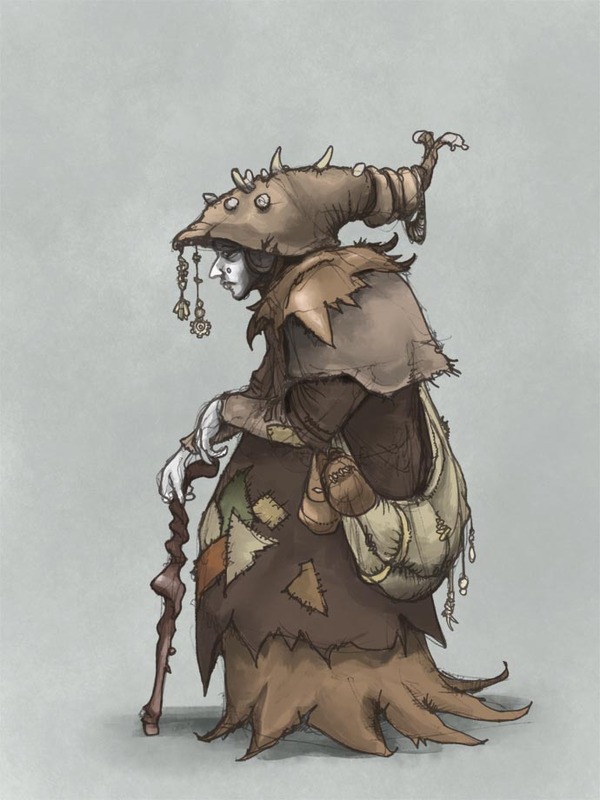 Again, more fantasy bird characters. 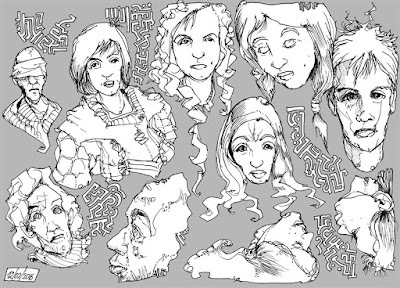 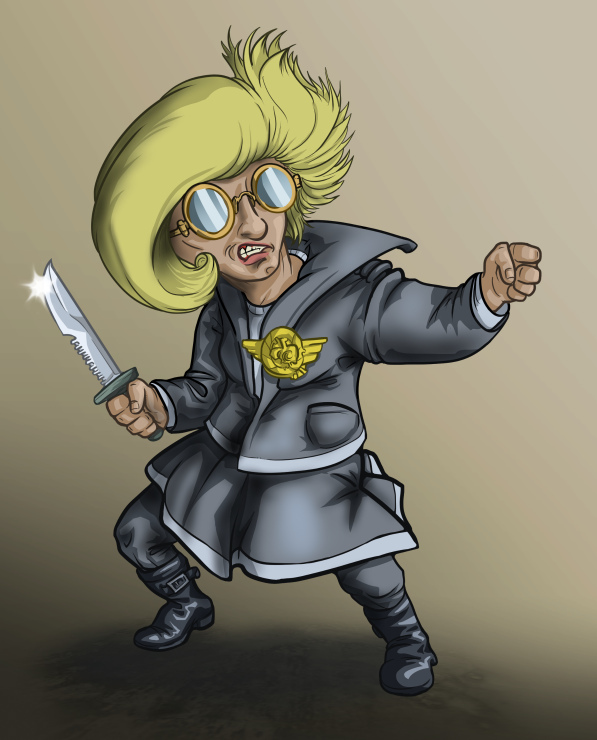 This is a quick illustration I made for my friend Ilinca who created a music video for Nicole Atkins, so the idea is actually not mine.